I have been doing Invisalign routinely in my office for many years. Depending on the individual patient I sometimes see a chalky look to the teeth. It is very similar to the appearance that teeth get when we etch with phosphoric acid. The saliva pellicle is stripped off and the teeth even feel different to the patient’s tongue. As just a supposition I think that the pH of the oral environment is a contributing factor to this phenomenon. Whether a naturally acidic oral environment and saliva or a patient who drinks an abundance of acidic beverages, especially with the trays in. 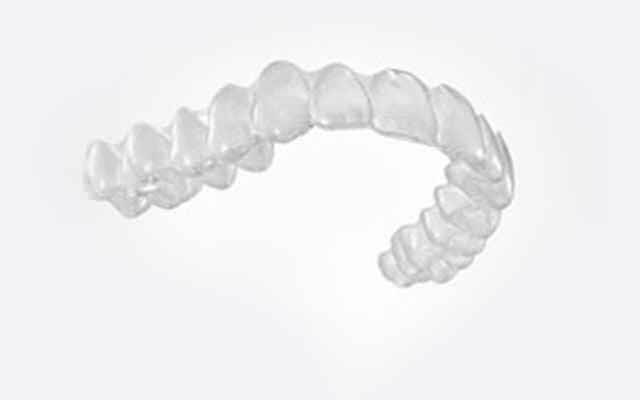 For the last year or so I have been recommending that patients utilize their invisalign trays to treat the teeth and prevent or reverse this process. I dispense to the patient MI paste with fluoride. After the patient has brushed and flossed their teeth I have them load the trays with the MI paste with fluoride and wear for 5-1o minutes. They then remove the trays and rinse them thoroughly and rinse their mouths. I have them do this once a week, but they can certainly do it more often f they so desire. 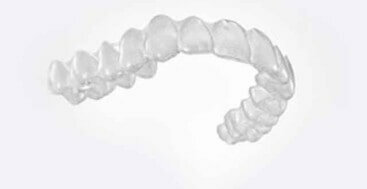 I have seen great results with this process, it will also help prevent decay from occurring during the process of Invisalign. It is an easy regimen for the patient to follow since they already have a readily abundant supply of trays in which to place the MI paste. I heard that using MI paste over a period of time will reverse the decalcification. Have you noticed that in your patients? Thank You! We’ve been telling our patients with incipient caries, hypocalcifications, or sensitivity smear a thin layer of Clinpro on the posterior buccal surfaces and then place their “invisalign” style trays in. They leave it in all night. Every little bite of re-mineralization helps. Clinpro 5000 would be great for this process as well, again calcium, phosphate and fluoride are the active ingredients.